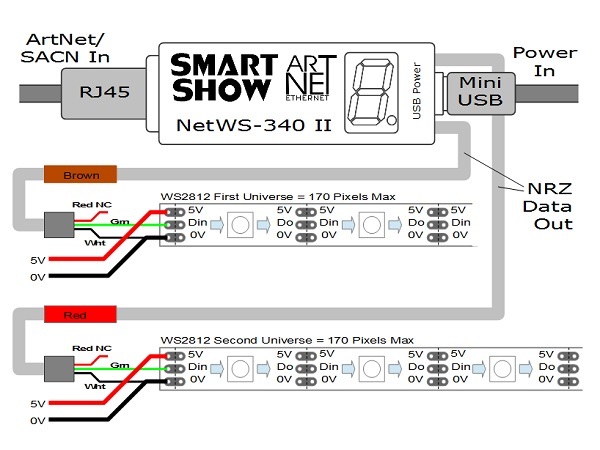 NetWS-340 will drive up to two ArtNet/sACN Pixel Universes (340 WS2811/WS2812/Neopixel Pixel-LEDs) over a wired Ethernet network. 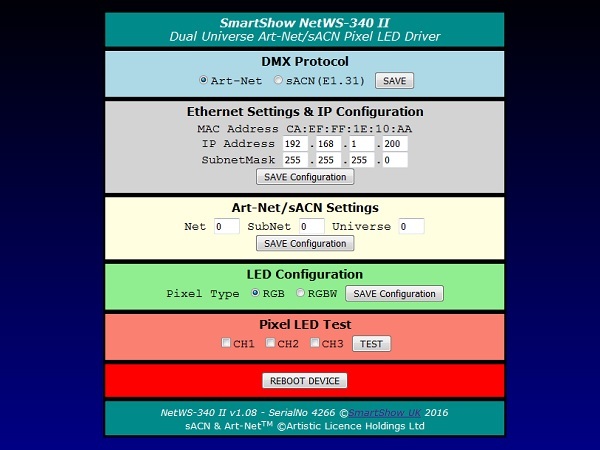 DMX Protocol Selection, Device IP, ArtNet/sACN Settings and LED configuration is adjustable directly from your Browser interface. Two 3-pin JST connections are provided for outputting the NRZ-data to the Pixel LED strips/matrix. Operational Mode is indicated by a simple 7 segment display. Product Firmware updates can be sent over USB, and a serial diagnostics interface has also been included.